I'll start off this post (attempting) to explain the main hesitation that OOO will not give us skilled swabbies and then i'll try to explain the pros of having skilled swabbies and the manner in which they should be utilized and then finally I propose 2 ideas that I have come up with. So the perceived reason that skilled swabbies should not be introduced is that OOO strives to have a community that is highly player interactive and team oriented. Giving the community skilled swabbies would go against this philosophy as it would be possible to access much of the content without relying on others. In the beginning of Puzzle Pirates, this structure was easy to achieve as people were constant numbers of new players joining the game were filling in the bottom of the pyramid and a small subset of the players (probably beta testers) were at the top. As older players retired, there were new ones there to "move up" in the system and become part of the top group and new players kept the bottom strong. But as the years have gone by, the structure has been changing and the structure that PP currently sports is actually an upside down pyramid with a large amount of elite players and only a small number of greenies. This structure simply does not work as most people know, it now takes a long time to load a ship and sometimes it is impossible. Since we are unlikely to get a new influx of players (we have exhausted all options after introducing PP on steam and the tablet) and since players cannot move down the pyramid like in real life, this is where skilled swabbies come in! 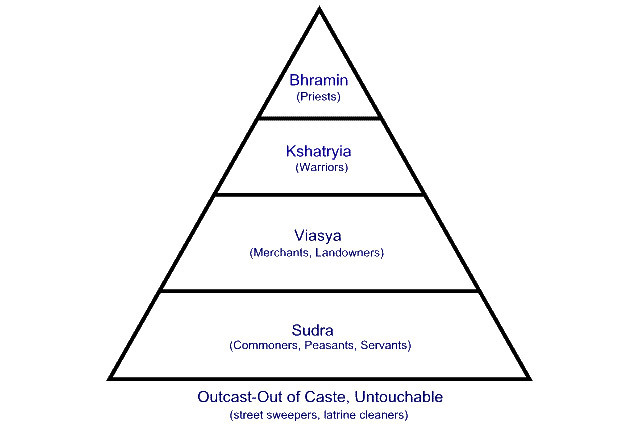 They will restore the player base structure to what is ideal for PP and act as the lower part of the pyramid and allow the players remaining (a high percentage which are considered "elite" or at least in the upper echelon) to play the game optimally and access all the content that PP has to offer. Now that we established that, let's go onto some ideas. Currently, the only shops you need to run a ship are SY, Distil, and IM. This attempts to bring the other type of shops into the equation and providing more "sinks" for certain items. So in this method, you start by building a "Blank Bot" in a Furni. Next, you need to dress up the dummy with clothes. The type,age and color of clothes that you dress on the dummy will determine the level of stats of the skilled bot that is produced at the end. It will be called "Clothed Bot" Finally, you need to use a potion, produced at the apoth, to summon it to life! As you can see, this brings a regular "consumable" to the apoth/furni which previously did not have one. This also provides another "sink" for clothing (especially the clothing that is given out from chests), something which I thought was needed as clothes degrade way too slowly for the tailor/weaver to have any consistent non-luxury business. This idea actually came up when I was watching Harry Potter. So, in this method, you go up to a regular bot already on a ship. When you click on the head, one of the options will be to "Give Clothing" Just like in the other method, the age/color/type that you give it will determine how "skilled" it becomes. This is like the former option except that it only requires clothes and probably less interfaces to design. -In an environment with chests, they receive a portion (number to be determined) of the chests. -Skilled bots count toward the total number of players on the ship, but do not count toward the swabbie cutoff level. For example, if you are on a sloop with 4 bots and you convert one to a skilled, another regular bot will come on the ship. If you summon a skilled bot, one of the regular ones will not leave. -To simulate real players, Skilled bots are not as obedient as regular bots and can only be ordered to gun/not gun. Otherwise, they will take an open sail/carp/bilge at random (they will have an equal probability of taking any open station, so if there are 5 free sails, 4 free carps, and 1 free bilge there is a 50% chance it will sail, 40% chance it will carp and 10% chance it will bilge). However, these guys can be convinced to change stations by clicking on their heads and paying them 100 poe (like the Old salt in the inn). The skilled bot will abandon the station and it will again choose a station at random using the method described above. This means there is a chance it will take the same station again and so you may have to pay it a few times before it gets to the station that you want it to. When entering a closed environment (SMH, blockade, flotilla, IO )In the Dobby method, you can only convert when a bot replaces a human player(which occurs every 3rd time). In the "Build-a-bot" method you can replace every person with a skilled bot as soon they leave. The Dobby method means that the skilled bot only has "1 life". In the build-a-bot method we could set the number so it has "x number of lives"
There are more aspects and fine details that have to be ironed out if they are implemented, but that's the general gist of what I have. If anyone would like to comment on anything i've said above or have their own ideas, Please share, and I would provide feedback to any ideas that are given. While this is a noble pursuit, it should be secondary ensuring the gameplay for the current players. The reason that skilled swabbies are needed is that PP requires a certain player base structure which has not existed in the past few years and which it seems it will be unlikely that PP would ever attain again. I'm going to disagree here. I've been watching the notice board recently. For pillages, there's barely any wait at all before most ships sail (barring those with very low restock cuts, high jobbing requirements, or doing unusual activities). And this happened before the extra swabbies-- it started happening after the new notice board was released, and people stopped trying to nav pillages for the extra restock. We need something like that for sea monsters, now, more than we need skilled swabbies. Comments from Nemo and Hermes. Presumably the cost of each increase in skill level of a skilled swabbie would be slightly less than the expected gain in greater booty returns. Otherwise it would be rather cost ineffective compared to using jobbers, although it would grant a little more predictability in skill levels. Eventually there would be a point of diminishing returns, where getting ever more skilled swabbies would be costing more than they were worth. Pillaging and SMH are fundamentally different on how they need to be run to be effective. How would discouraging the nav position help when there are only 50 online and you want to do a friglantis? Blockading is a net loss event (poe wise), yet it is the backbone of this game. Presumably the people who are willing to spend and use these skilled swabbies (repeatedly) are in the same boat as those who are willing to lose money in blockading rather than for the everyday joe. If I remember correctly, I remember seeing something that the OOO do not want to restrict access on what they can or can not do when playing (to some extent). A whole area of gameplay that cannot be accessed should be a no-no on their list and needs to be rectified. In this case, I am proposing to do so with skilled swabbies. There may be other solutions, which I am eager to hear as well. then you start getting more swabbies. 3) I'm not sure why being able to us a WF in atlantis is that important, as long as you can still use smaller ships. For pillaging, there are 2 components of scalability. The first one is the fact that the size of the ship you are on will affect the size of your spawn. The second aspect is that if you are on the understaffed size, you will get also understaffed spawns(up to a certain extent) and the same if you are overstaffed. These 2 components make it so that pillaging on a small-sized ship is the same experience as pillaging on a larger-sized ship. For the other parts of the game I mentioned, as you scale from smaller ships and bigger ships, and the level of staffing you decides DOES change the experience. While HS/Lanty does have zones, does one really think that Playing in the eth zone/zone 1 is really the same as spec zone/zone5? Also, unlike in pillaging, do the opponents in lanty/HS get easier if you are understaffed? For flotilla, the size of ship you decide to use does affect your spawn(although the algorithm that decides the spawn is currently flawed) so the first component of scalability is fulfilled. However, the second component is not fulfilled as the flotilla don't get easier if you are understaffed. The fact that being understaffed doesn't change the difficulty, like in pillaging, is why SMH/HS/Flotillas are getting increasingly harder and harder to load. That is also why Pillages can start right away (as Xelto has pointed out) while other things cannot. Since I don't think that the devs would like to do a complete redo on how these mechanism work and make them relative like pillaging, the only way to ensure the continued gameplay is to give us unlimited/skilled swabbies. While less pronounced in blockades, the ability to use up to WF's increases the amount decisions to be made and strategies to be used. For example, should 3 WF's be filled, or should 1 WF and 4 wb's be filled instead? I think most would also agree a blockade many ships on the board is more fun that a blockade that is 1v1 or 2v2. Necro-ing this old post since posting a new one would get locked. Disregarding the previous posts in this thread, here is my proposal. Years ago, YPP was a game with thousands of unqiue players logging in, spread across all servers. The developers a the time had the mindset of "want to sail a War Frig? You'll need actual players on board to man the stations". When the servers were more active, this was less of an issue... especially during peak hours and if you were popular for leading voyages. Understandably, this decline in player population has made it significantly harder to load larger vessels. If a player wants to run a War Frig Atlantis, they're going to need 74 other players involved to effectively run that voyage. When an ocean has a population of 350 players online, this would require nearly 1/4th of all the current players online. Considering a large number of players don't have the time to commit to a 2-3 hour Atlantis run, many of those online players simply won't job in the first place. Gathering large amounts of players onto a vessel for a voyage takes a significant amount of time. It's pretty common these days to see wait times exceeding an hour for larger vessels (Xebec+). The time commitment for every voyage increases largely due to the overall time it takes to load a vessel in port. Players sitting in port on a ship waiting to load are not playing the game. This is not good for the overall health of the game. Another issue that springs up because of how the game is designed is something I call the "too many chiefs, not enough warriors" problem. Many people enjoy naving and would like to lead their own voyages... but if someone else is also trying to load for a large ship voyage, it's very common that one of them won't load and will waste a lot of their time sitting around in port waiting for jobbers that will never come. This is anti-fun and also not healthy for the game. If someone wants to lead a voyage there should be no road-blocks that are out of their control. Relying on other players is absolutely out of your control. Yet another issue is that if you play during non-peak hours, you have a non-zero-but-not-greater-than-1-percent chance of actually doing anything on a big ship. There's many other issues with this philosophy of requiring every station to have real people manning them. The TL;DR of this section is that it's anti-fun at this point and absolutely not healthy for the game. Introduce skilled swabbies into the game that can be hired in port via the noticeboard prior to the vessel setting sail. This will greatly reduce the wait time for ships to set sail. I do not think we should completely remove the aspect of needing some other players, but we definitely will benefit from reducing the total number of real players needed to run a voyage. I'll elaborate and lay out the actual idea below. Note: The poe values I put in there are random. Balancing would be required... the point is that if you want a WF with 54 ultimate swabbies it'll cost you waaaaaay more than if you settled for master or lower. I think the interface is pretty self explanatory. You pay a one-time fee per voyage at port that is paid out of the hold. The fee is refundable until you hit sail. If the vessel resets in port or the swabbie is dismissed before hitting sail the poe is refunded to the hold. Each swabbie would have a designated station that they work. They could work other stations, but their output would be equivalent to the current non-skilled swabbies. Declining a swabbie will just remove them from the hiring board and cycle in a new one for you to hire. Ships load much quicker and can leave port almost immediately. Players aren't required to sit and puzzle for 3+ hours straight on a voyage and aren't penalized for taking breaks whenever they want. Hop off your station? A swabbie will take over (assuming there's a free swabbie for that station). This will greatly reduce puzzling burn-out. People will be less inclined to have strict hiring standards for things like Atlantis and Haunted Seas. Your stations will be as good as you want them to be because you can pick and choose how much you want to spend on the stats the swabbies have. This will allow new players to be involved in a lot more content right from the start. A lot more people can be involved with the running of voyages at any time of the day. EDIT TO ADD: This is also a form of a poe sink. Poe sinks are good for dub prices (if you're a free-to-play player). If you spent 200k to load a Frig with swabbies and went to Atlantis, and then you sunk... that's 200k gone. Potentially less overall player interaction. /end of list? I don't see many downsides. Please contribute to this list if you can think of any. I know for me, I have no desire to sit around in port trying to fill a War Brig or War Frig for over an hour when I can just boot up PUBG and be in a match in under 3 minutes. The game needs to depart from some of the old ideology in favor of allowing players to actually play the game. EDIT: Added another PRO I forgot about. I would agree with most of this. However, I do think it might be better to have a cost per battle, instead of an upfront cost. This would be in addition to the cut they take of the booty. This way, you couldn't buy them just once, then pilly for 8 hours straight while using a bot you paid for just once. Instead, you'd pay a fee per battles, keeping the profits from changing based on the number of battles fought. Another aspect I'd like to see is some sort of ballancing of price based on how much demand there is for the bot. If everyone wants gunners, for example, their price would increase, while the stations that get filled right away by normal players, and thus less bots on that station being hired, would decrease in price. On a similar note, something similar could even be implemented into every pilly: give a ratio of payment based on puzzle played. Rather than simply telling everyone on board "I need more sailors", you could bump their pay by 20%, and the length of time someone's sailing in proportion to the length of the battle/segment would determine how much of the booty they got that split. I'm not against a "per battle" fee or anything, but it becomes much harder to implement if you do something like Atlantis. Would you pay per segment? How much per segment? Where does the poe come from? The hold? That's kinda risky because if you sink you lose that poe. I was thinking per seg, yes, and coming from the hold. It would be risky, but it would also be in some sense less risky than trying to leave the board with only 40 people on your frig because everyone left. The problem I'm seeing is people paying a one time fee, then either pillying for 8 hours straight or smhing 'till their hold is full, getting a lot more out of the bot than they paid. On the other hand, if you just made them cost a lot, it would be absolutely impossible for them to be feasible for people who want to just do 4-5 battles and call it a day. The way I have it priced in that example photo I posted, a full ult WF would cost 600k+ upfront. That's a huge upfront investment that you might not see back. If you did a full master WF you're looking at 200k+. That's still cutting in to your profit margin pretty significantly. If someone is willing to pay that much up front just to set sail, I don't see why they need to be additionally taxed during the voyage... but if that's what it takes for this idea to pass and get implemented I'm not against it. I'm thinking of the person who wants to hire a couple bots for an hour of pillying. Spending 50k for even 10 bots to help a little on a WB simply isn't possible. The rates need to be based on about played, not a set price. I'm in favor of paying them up front and then either have them have a number of battles they'll do before they "have to go eat dinner" and leave, or a span of time the same way. Hiring them should be for something like "2 hours or 5 battles" but still paid up front. If it's paid after, you have to have enough poe to completely pay them all out at the end no matter how you did. If you had a bad run especially near then end, what happens if you can't afford to pay them? Having it pulled from the hold ahead of time removes that problem. I was more thinking pulled out as you go, similar to rum. If you don't have enough to pay them, they get angry, and if it continues that way, then they leave. I like love the idea of the Captain of the ship paying them up front or the notice board telling you its going to come out of the booty division. For this game to grow it needs to appeal to the children/teens (new blood) the base (those who grew up playing) and us older players (the ones most discretionary income). I have personally sponsored many of my nieces and nephews with basics to get them into the game. (Basics, wepons, sloop 100k and 25 dubs). They have all quit after a short time, for a variety of reasons but the most common is they can't get jobbers when they ran things, and they don't get hired to go on stuff. The crews they were on planked them even cause they were not good enough. I share the story because the skilled swabies fix the issue of not getting a crew and the need for hiring skilled players. I often just go out with the navy personally but it would be more fun to chart my 4 hour solo pillage and hire swabbies that are good as I don't care about making poe I can buy dubs I just enjoy the game. Skilled swabies would allows us to take new players on a large ship or sloops and not just get killed (which isn't fun) because there is a base of quality swabie botts pulling the new players weight. One of the major reasons this would be hard to implement would be that it could create an environment where no one has an incentive to interact with other humans. If you make the skilled swabbies too good, there's forseeably a large number of one man ships playing by themselves. This is obviously not the intent of the game, so we have to maintain a strong incentive to find actual humans and job them, even if they're greenies. At the same time, the reason this even comes up is because of the difficulty in running pillies without a large greenie base to keep things running. This actually does cause a problem, and contributes to the wait time in loading, etc. The thrust behind having skilled swabbies, then, would be to keep the ability to run things even without having the greenie base, so people can still do what they want to do. Another issue that arises is how to feasibly implement it. If you pay a set price up front for the entire pilly, it can become entirely abused in long pillies, where the captain pays a bunch initially, but then has a full ship of bots that he pillies with to the end of time, more than making up for the initial start-up cost he paid to began with. This issue is paired with the issue of how the bots would even be able to be hired in the first place: is there a button that says "hire skilled swabby", or what? I think there is a way to make the best of all worlds. First, like most everything in the game, the supply of skilled bots would be based off the market. As was previously suggested, they could be made at a furnisher's stall, and included in the cost could be an expensive potion and some clothing, perhaps with the possibility of a sword/bludgeon as well. This would drastically increase the productivity of many different stalls that usually have nothing to do with their labor: furnishers have no orders they have pre-make and put on the market, and apothecaries only really have paint, which has a MUCH greater supply capability than demand, and tailoring stalls, which definitely are lacking right now. The increase in tailor stall's output would also greatly increase the need for cloth, which would boost weaveries, which would then need dyes, increasing apothecaries even more. The issue then would be how to implement a market after they were produced. I think there's a couple options, but the one I like most keeps in line with the spirit of the game: again, it's a market just like everything else. Each player, after buying a skilled bot, would own the bot just like anything else they bought. They would then be able to put them up for hire for a set price of their own choosing. This would be added to a list very much like any of the other markets, where you can compare other people's skilled swabbies for hire and their prices and rankings. This would drive the price of each skilled swabby to be entirely supply and demand; if lots of people wanted to hire them, the price would rise, and if no one wanted them, they would drop. This would even fluctuate within the day, as the peak of the day would have more people hiring the same number of bots. This pay would probably best be per battle, not an initial amount. This takes care of the problem being abusable with longer pillies, and also keeps it from being entirely unaffordable for people wanting to go on short pillies. They could be paid from the hold, and serve loyally as long as there's enough in there after each battle. If they're not, they complain much like running out of rum, and if they still aren't paid after a short bit, they leave entirely. The pay, I think best, would go partly to the owner of the skilled swabbie, with some being sunk from the ocean entirely (something like 80% going to the owner?). This would give skilled swabbie owners incentive to have their skilled swabbie used rather than others', but they'd also want to require enough money to pay back their cost of creating plus a little profit. The more they ask, though, also the less likely someone will be to think it's worth it to hire at that price. These skilled swabbies could be hired directly while already on a ship. This would really help pillies that are already ongoing continue even when someone jumps ship. Everyone knows the aggravation of being a couple battles into the pilly, then having your gunner jump ship, leaving you sitting on the NB desperately until another gunner shows up. This would allow those ships to simply pop up a NB call for a gunner, but hire a skilled swabbie in the meantime to keep things going strong. This would also, again, require a per-battle paying system, as they should be able to be dismissed as soon as a human gunner is found. Part of what would make this interesting would be the customizability of the skilled swabbies. Rather than being totally random in stats, I think it would be better if you were able to craft a specific skill and stat. This would probably be best done through the types of clothes you put on it, with color determining what puzzle it does. If you put yellow clothes on it, it would be a sailor, blue clothes would be bilger, red clothes would be a carpenter, and green clothes would be a gunner. Having these 4 basic colors be the ones needed would again increase the need for apothecaries to produce dye for the weaveries, which would help the market all around. The type of clothes could also even matter, with cheap clothes giving only basic stats, like distinguished, and only if you create them with expensive suits do they become better, like master. They probably couldn't become too good at any one puzzle, though, like legendary/ultimate, because otherwise they would too easily take the place of real humans, rather than simply filling in the lower slots in order to keep things running. Perhaps, although I haven't thought it through too much, you could even add swords/blugeons if you wanted. These would both up the stat of their rumble or SFing skill, as well as give them that particular weapon when they get in battle. This would then be broadcasted on the jobbing screen, where you could see what station they fill, what rank they have in it, what weapons and stats for fighting they have, and the price per battle/seg. These skilled swabbies also would obviously need to degrade, or they'd be an endless supply of income for the owner. I would think they would last some number of battles, then degrade entirely. There could also be a degrading per day, similar to a labor badge. This would create pressure for them to be used, which would help drive the prices down. This would also keep people from hording them or creating entire armies that they unleash during blockades and the like. One person couldn't own 100, as they'd be degrading while he's amassing his army. This would, again, be a boon to the economy, as there would not only be a greater demand for each of the stall's labor, but also for all the resources that would go into building them. For example, hemp would increase in demand for the weavers to produce cloth and fine cloth, because there would be so many skilled swabbies degrading, which used clothes to produce. 1. The cost of a skilled swabby would still, by nature of how much it costs to produce int he first place, be more than most humans, unless the pay got really high. If that happened, the amount of swabbies would only tend to hinder the price from going to exorbitant prices, rather than replace humans altogether. 2. There probably wouldn't be insane amounts of skilled swabbies on the ocean to began with, especially if they degraded per day. There would be some running around to ease the running of pillies, but there wouldn't be enough of them to break the entire jobbing structure of something as large as a kade. 3. Even if they did play a big part, the humans would still be wanting to job, so the jobbers could just put more ships in the kade. This would lead to bigger kades with more ships, which, let's be honest, would be AWESOME. Who doesn't want to see Grand Frigs back on the blockading board?? One of the most important things, though, would be how the booty split works. I think it would be best if they collected just like any other human, taking a portion of the poe as well as the chests and whatnot equal to the number of battles they participate in. However, they wouldn't contribute as much to the booty ramp as an actual human. This would mean it would always be better from a booty perspective to have a real human on your ship, even if that human is a total greenie. Balancing a ship, then, with a couple humans and only enough skilled swabbies to keep the ship running, would be important to gain maximum profits. Someone who goes out on a ship full of skilled swabbies would gain a lot less than if that same ship were full of real humans, keeping the incentive for crews and normal interaction. This would also create a large poe sink to the game. As all the resources are in higher demand, they would cost more, sending more money directly down the drain. After creation, they would degrade, and during their entire life they would be taking a little more from the booty split than they contributed to the booty ramp. All the while, a good portion of their pay would be shaved off before going to the owner, thus slurping another chunk of poe down the drain. These poe sinks would make anything that actually creates poe, rather than shuffling it around, more worthwhile in comparison. This would mean shops, parlor games, etc. that trade poe from player to player would be less profitable in comparison with pillies, as the total amount of poe on the ocean would shrink, emphasizing the importance of poe creation. This would, in effect, then, strengthen the incentive for pillying and smhing, putting more people on the oceans... which is exactly what having more swabbies is best suited for! TL;DR: I think it could work great if the swabbies were created by the market, and hired by a market, customizable, degrading over time and per battle, owned by the player who then took a portion of the profits, and most importantly: added less to the booty ramp than a real human, retaining the incentive for jobbers to look for actual humans! They would, in effect, then, supply labor in order to keep the pilly running, rather than replace humans as the backbone of pillying. The poe sink and increase in demand for all resources would likewise incentivize more pillying. I'll be honest, I really don't like that idea. It's nothing personal at all; I just feel that it's overly complicated and would require quite a bit more developer time to implement than a simple dock-side hiring board for skilled swabbies. I think the concept of KISS applies well here: Keep It Simple Stupid! There's also something very un-piratey about building a robot and essentially programming it to do a specific station. It also removes the poe-sink that my original idea created. Poe sinks are generally a good thing to combat inflation. Another issue that arises is how to feasibly implement it. If you pay a set price up front for the entire pilly, it can become entirely abused in long pillies, where the captain pays a bunch initially, but then has a full ship of bots that he pillies with to the end of time, more than making up for the initial start-up cost he paid to began with. I don't see any issue at all with this. Literally none. You aren't profiting more because there's less players; each skilled swabbie would take their equal share of the booty during and at the end of the voyage. How would that be any different than somebody finding 20 friends to go on a 10 hour war brig pillage? In that scenario they'd pay zero upfront. The entire point of skilled swabbies isn't to necessarily encourage more group play... it's to allow people to play the game how they want. A part of my original post was to point out that the mindset that players have to work together to do most ship-based activities is leading to overall stagnation in the game. For example, there's times I REALLY want to just screw around and take a War Brig out and hunt Grand Frigs. I have no intention of winning the fight. I have no way of screwing around like this without inconveniencing all the jobbers I would require to do that. I addressed this in my original proposal by implementing restrictions on what swabbie can NOT do. Could you run a pillage with just bots? Sure. Could you run any other voyage type with just bots? Not if you want to make any real kind of profit. My idea certainly would be more complicated, I entirely recognize that, but not for no reason. The price being entirely market driven, as well as the creation providing consistent labor for many types of stalls that otherwise don't have any consistent orders, are both major pluses that having a simple dock-side hiring board would lack. Your system seems to be entirely focused on doing pillies however/whenever you want, rather than fitting it into the market. Simpler, yes, but I'd prefer market forces take care of prices. I still don't understand your opposition to per-battle pay, though. You don't see any problem with it at all? The issue I have intended to point out each time is that if the price is purely initial, it greatly hampers the ability for short pillies to use the service without dumping massive amounts of poe down the drain. How is that not a massive problem? Let's use your example: you want to take a warbrig out to hunt GFs. How many do you want to fight? I've gotten the same urge before as well, and taken a sloop out with the navy to fight the GFs. After a couple battles, though, I'm satisfied, and go port. If it's an initial cost, as your plan is, then I just wasted dozens of thousands of poe for a couple battles. It's a prohibitive cost for short pillies, which is exactly where skilled swabbies would otherwise shine (no jobbers to get mad that you ported after 2 battles). With a per-battle pay, though, it would cost considerably less for short pillies by yourself. Hmm, I like this idea much better than most that have been posted here. It would require a large amount of programming, but would actually add to the game instead of take from it. After all, we wouldn't want the skilled swabbies just being added like an afterthought when they will have a huge impact on the game. With this, they become a feature to the game that would hopefully give it a breath of fresh air. Also, while I'm actually replying to this line of thought: Strider, please. We get that you feel very strongly about this idea. In fact, we got that the first couple times you brought it up. I've read almost everything new posted in the game design forums for a while, but it's becoming a pain to read through your giant wall of text that says the same thing as the last. I've started to dread it every time I see your avatar show up. And I don't have to read this stuff for part of my job. I know from past posts of his that at least one dev reads everything posted here. Please, the devs saw it the first time you brought it up. Stop kicking a dead horse. Just be patient, and if they figure that it would be good for the game, they'll add it. It comes back down to simplicity. The most annoying part of a per battle system is the babysitting you'd have to do with your poe to make sure the swabbies are being paid... but it gets more complicated than just that. How would it work with Atlantis? Per segment? Is the per-segment rate higher, lower, or the same as pillage payments? Atlantis has ~6 segments per hour, so if it was the same rate as a pillage it'd either be prohibitively expensive to run Atlantis or negligibly cheap to run a pillage with skilled swabbies. Would you only pay a per battle fee? People running stock would have free labor to move stock. Memming the ocean would be a million times easier. You could -- in theory -- move an entire cade fleet for very free if you have enough flagmates willing to run a ship each. Do you pay an upfront fee AND per battle? Because your payouts would have to be enough to eventually recoup the upfront fee AND whatever the per battle fee is. This means that the per battle fee would have to be pretty small to justify hiring swabbies in the first place, and it raises the question of "Why have it in the first place if it's so small?". Each type of voyage would require significant fine-tuning and balancing to make it so that they can all be run under normal conditions profitably with skilled swabbies. My example about taking a War Brig to fight Grand Frigs is NOT a normal voyage condition. There is no expectation of recouping the losses or needing to minimize them; It'd be expensive, but that's the premium I pay to do something unusual and off-the-wall. 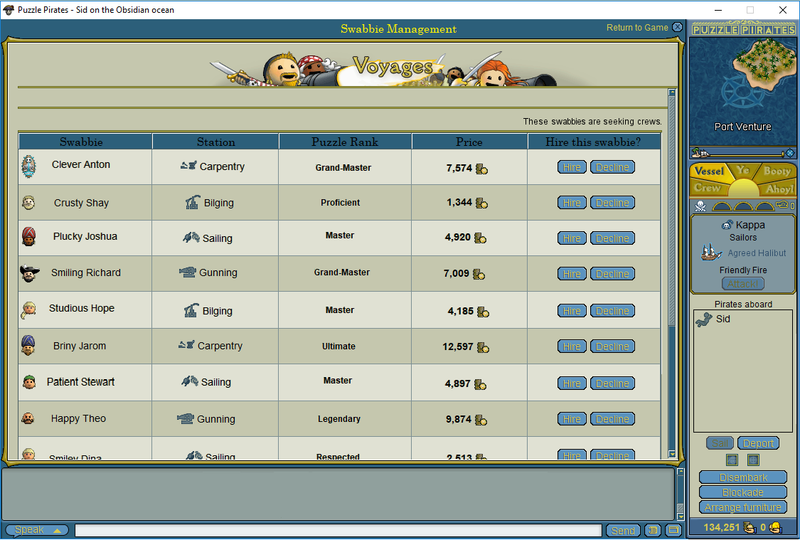 At the moment, the main voyage types are somewhat balanced with their payouts. They gave Atlantis the nerf bat a few months ago and it brought it more in line with pillaging and HS. A flat fee would impact all voyage types at roughly the same cost without having to do too much re-balancing. I just don't like overly complicated systems for something that can be kept simple. Just pay one fee upfront and that's it. For most people who want to do a normal type of voyage, this fee would be recouped with some profit on top of it after a couple hours of doing whatever voyage they're doing. For people who want to do some off-the-wall voyage that probably won't make money, they're free to do so but they're paying a premium to do it... but that's fine by my books because it just adds to the poe sink that my idea would create. The squeaky wheel gets the grease. If I don't speak up when I disagree with something it could be taken as passive agreement. I've literally made like... maybe a dozen posts on the topic? There are answers to all those questions. It's not super complicated, just a fee for their work. Balancing that would be easier than balancing a one-time fee, as you have flexibility of where you can nerf and buff. I just don't see PP as a game where they just say "eh, let thrown a number down and call it good, no need to worry about the intricacies of how it'll all work." Having a one-time fee that gets explained by "it's easier this way" really isn't the best business model, in my understanding. It leaves way too many holes that spawn rife problems. Mechanics for a later post, but for right now can I just suggest that any proposal that basically amounts to "You own people and rent them out to others for money" is not a good implementation of anything at all. Creating them out of wood and animating them with a potion doesn't really make them "people". They're brainless, so it'd be more like thralls than anything else. That is sort of arguably worse unless they were explicitly zombies. If they use the regular NPC art, you get yourself into some very dangerous waters. But regardless, making them crafted in shops, bought and stored in inventory, and then further allowing people to rent out the ones they own to other people is so much work that even to fix this problem it would be not remotely worth it. You're talking programming an entire new interface, actually probably two entirely new interfaces front-facing and even more complexity on the backend. A screen you can access on your ship that shows you swabbies with varying skill at various puzzles, and a varying cost to hire them based on how skilled they are is going to be the only possible hope this has of being implemented. We can debate whether it's better to hire them by league point, by battle or by hour, but I can't understand the people objecting to the idea on the basis that paying them by the hour or voyage is going to mean you can actually make more money than it cost to hire them. That is literally the whole point. People want to play the game, and pillage and earn resources to buy things they want. If you make these cost MORE than you can earn having them, you've fixed nothing. They should have a single up front cost to hire for whatever kind of duration the devs think makes the most sense (I'm honestly fine with "Until you port" because that way you need to actually be carrying more and more stuff the longer you want to keep them around to recoup the cost of hiring them. That or by the hour) and then also receive shares of the booty exactly as if they were jobbing pirates. Which would be the case with what I proposed. The issue in question is how to make them worth it, but not worth MORE than an actual human. You can't implement swabbies that are better for your ship than humans, and then hope to retain even a small amount of player interaction. Per-hour or per-LP or something to that effect dodges the issues raised earlier. But we've hashed that issue a number of times already. I rather like this idea of paying per time. It's more straightforward than per battle, and fits what I was hoping for better, and less abusable. There will still be the issue of whay happens if they're already on your boat when your time runs out. Hopefully you're not in the middle of a battle when the hour is up? Or would there be a way to automatically re-hire them when their session is completed? I do, though, still like the idea of the market setting the price. Perhaps it starts cheap, but the more swabbies active on the ocean, the more it costs to hire the next one? And I'm not sure a lack of TH and foraging or greedies is a big enough incentive alone to hire humans. Less booty would help emphasize that the purpose would be to keep things running, not giving the ability to pilly alone. Not THing or getting a few less greedies isn't going to keep people from solo pillies. They do, yes, but so do humans. You could either hire 4 swabbies, and get 20% of the booty, or hire 4 humans, and also get 20% of the booty. If that's all there is, or even if there's just a couple less greedy trinkets and less TH, it still would lend itself to being used to replace greeny humans. Although perhaps just paying enough per hour is a good enough incentive itself.